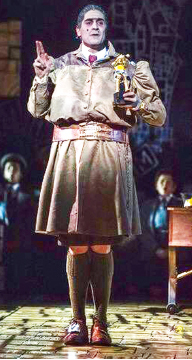 Home Cinnamon Life to present Matilda the Musical! Cinnamon Life to present Matilda the Musical! Cinnamon Life will present one of the best-selling shows of all time in Colombo this June - Matilda the Musical. An utterly exhilarating, nostalgic and heart-tugging story that is based on the much-loved book by the incomparable and world-renowned author, Roald Dahl, the show will charm, fascinate and inspire the entire family with its uplifting storyline, loveable characters and toe-tapping tunes. Recognized as one of the West End’s best-selling musicals of the decade, Matilda the Musical has smashed records globally and will be performed in Sri Lanka for the first time from June 5 to 9 at the Nelum Pokuna Mahinda Rajapaksa Theatre. Presented by Cinnamon Life, together with GWB Entertainment and the Royal Shakespeare Company, Matilda the Musical will deliver a wonderful night of theatre, music and unforgettable storytelling that the entire family will surely enjoy.